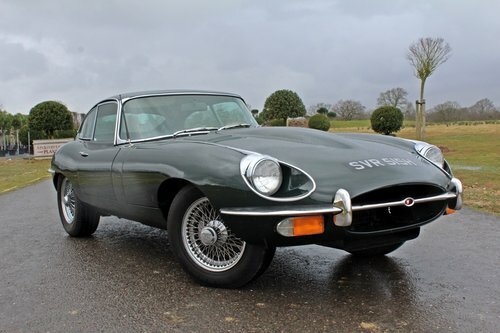 First registered in January 1970 by Jaguar Cars New York this very smart E-Type Series 2 Fixed Head Coupe spent its life in the dry California Climate, it was repatriated late in 2014 and has been in the hands of one private UK owner since then. 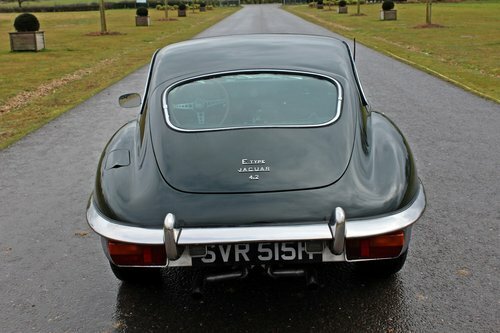 The E-Type Series 2 cars introduced a number of design and mechanical changes where they designed out both safety issues for American legislation and problematical mechanical areas, most notably the lighting, the cooling, the switching plus the steering column was made collapsible and headrests were added. A steeper-raked windshield on 2+2 models brought more glass and the ability to take passengers. 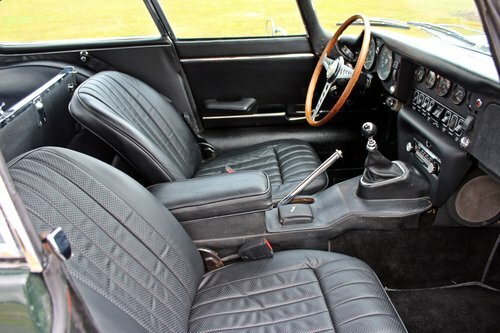 A glove-box door was now fitted on all models, together with perforated leather upholstery and newly available power steering. Brakes were new Girling disc brakes with three-piston calipers at the front and two-piston versions at the rear. The engine is easily identified visually by the change from smooth polished cam covers to a stronger, "ribbed" variety. 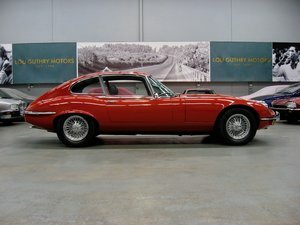 Upon arrival in the UK the car was consigned to Butlin and Sons of Swadlingcote Derbyshire who are well regarded in E-Type circles. One file is detailed report of the recommissioning work carried out by them. 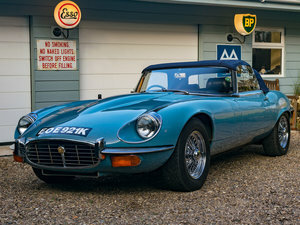 In summary these works included a brake, clutch overhaul, a new alternator and full service. 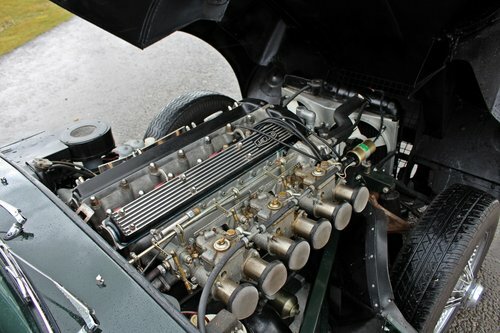 This car is fitted with triple Weber DCOE carbs with performance manifolds which both look and sound fantastic. 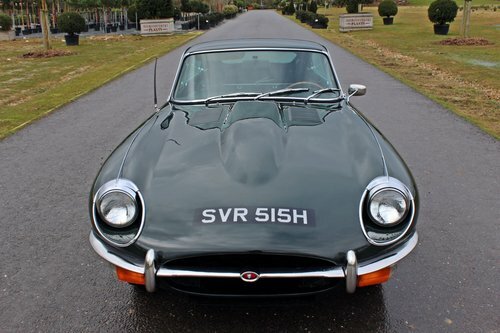 Currently Left Hand Drive we can convert to Right Hand Drive for £5,000 plus VAT. 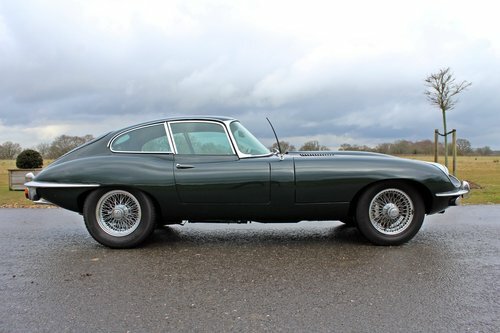 A very competitively priced FHC to be enjoyed.